What Kind of Car Am I? Convertible! The car you drive is an extension of you. Whether you’re in a rental car for two days or a hand-me-down car for 10 years, you take on the personality of the car you’re driving. Or does the car reflect your personality? When it comes to a convertible, your personality goes hand in hand with the car’s. Whether you’re seeking that blissful wind-in-your-hair feeling, some vitamin D therapy, or simply just wanting to add some flavor into your life–when you drive a convertible, you’re making a statement. 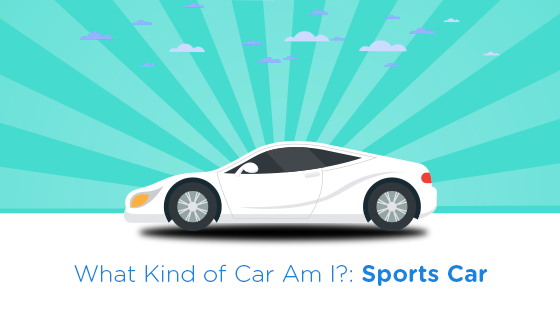 For you, style and performance are your top priorities when it comes to picking out a car. When you’re driving with your top down through the warm breeze, you are definitely getting noticed on the road (and for you, that’s a perk). Sound like a dream of yours? Then read on! If I ask you to close your eyes and picture a convertible, I bet you’re imagining a sleek, sporty, mid-sized car with its top down driving along the coast. Yes, that is the typical body style a convertible boasts, but nowadays, convertibles come in all shapes and sizes! Check out Car and Driver’s top picks, I guarantee there are cars you never thought capable of having a drop top! That just goes to show that convertibles continue to be a popular car to many. From two-door roadsters to four seat luxury models, there’s a convertible out there to help make whatever statement it is you are pursuing. 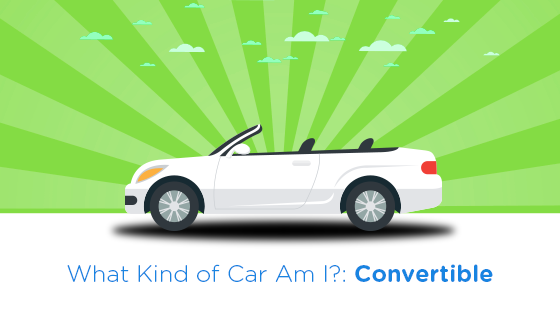 When talking about convertibles, there are many pros and cons that make their way into the conversation. Safety is more often than not a hot topic. Obviously, having a roof is safer than not having one, but that doesn’t make the car dangerous. Your safety in a vehicle begins with you and how you drive it. Some benefits that many rave about, are the convertible’s increased visibility, headroom, and versatility! While you do sacrifice cargo space and seating, these cons don’t seem to bother potential car buyers, seeing as a convertible seems to gain style points where it lacks in other categories. Of course, convertibles aren’t for everyone. They cater to a more specific audience. When you think of the typical convertible driver, a carefree attitude is a stereotype one usually pictures. But, that’s where you’re wrong! You’ll be surprised to hear that this article from Forbes states that most convertible drivers “have more bucks and brains than other drivers.” If you stop to think about this, it makes sense. Convertibles aren’t the safest car choice out there, so one would hope their driver would be smarter on the road to stay safe. You definitely gain a sense of freedom when driving a convertible with the top down. If you’ve never driven one, I highly suggest giving a convertible a test drive! See for yourself if this is a lifestyle you want to lead! What Kind of Car Am I? Sports Car! What Kind of Car Am I? Sedan! What Kind of Car Am I? 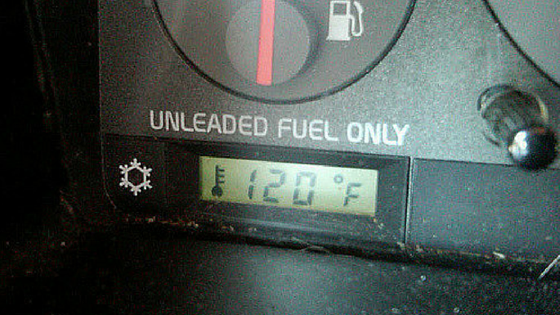 SUV!